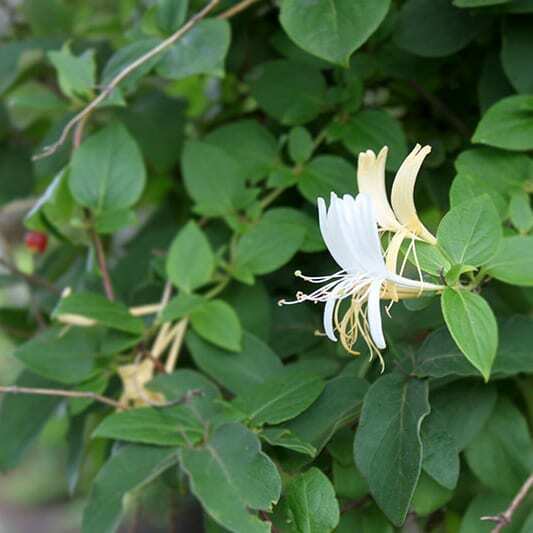 Freedom Honeysuckle is a vigorous shrub that was introduced by the University of Minnesota because of its resistance to the witches’ broom aphid. Its primary use is in windbreak and shelterbelt plantings and as a background screen in large areas. Foliage is bluish-green in color with a fine texture. Plant habit is somewhat loose without pruning because of its vigorous growth rate. Flowers are cream colored with a pink tinge. Fruit is a bright red berry which provides a nice contrast with the blue-green foliage.